After numerous teases, leaks, and deleted Twitter polls, the OnePlus 6 is official. OnePlus has made a number of significant changes that its fans might not love, but the OnePlus 6 is very 2018. This device sports a screen notch, which is all the rage among smartphone OEMs. There's also an all-glass chassis, which OnePlus has resisted for years. This is still a OnePlus phone, so it comes with killer specs and a pretty reasonable price tag. Here are all the specs of the new OnePlus 6. The OnePlus 6 marks the first time since the OnePlus X that it's produced a phone with a glass back panel. I've been dismayed to see this trend play out because glass phones are slippery, fragile, and show fingerprints. Still, this is the way things are going, and OnePlus could only resist so long. The OnePlus comes in a mirror black and matte black finish, plus there's a special edition white phone. The version I have for testing is mirror black, which is similar to all the other glass phones you've used. It's made of Gorilla Glass 5 just like the screen, and there's a thin film layer that makes it more reflective. Interestingly, I feel like fingerprints don't show as well on this phone compared to other glass devices I've used. The matte (midnight) black is a distinctive material. It's still glass, but it's textured to be less reflective and more grippy. The alert slider is still here, but it's moved from the left side to the right. It's above the power button, but it might be too close. During my time with the phone, I've often pressed the slider thinking it was the power button. Many OnePlus users have been complaining about the functionality of that slider in recent years, and those folks will be happy to know OP has heard your ranting. On the OnePlus 6, the slider no longer controls do not disturb mode. Instead, it sets the phone to ring, vibrate, or silent. Oh, and there's a headphone jack. 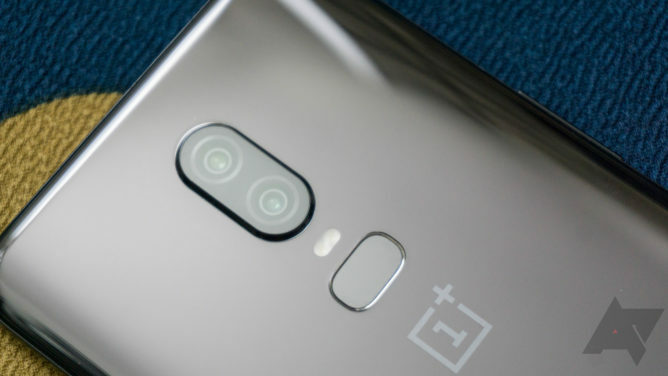 Killing the 3.5mm port is one smartphone trend OnePlus has opted to ignore. It's definitely nice to see this on a new phone. It's on the bottom edge next to the Type-C port, which still supports Dash Charge and no other fast charging standards. There's no true water-resistance here. OnePlus doesn't list any IP ratings for this phone but says the OP6 is designed for "everyday" water-resistance. That means no submersion, but it'll be fine in the rain or if it gets a little splashed. This device runs Oxygen OS based on Android 8.1. It's one of the best non-Google versions of Android you can get thanks to its clean UI, few pre-installed apps, and snappy performance. OnePlus has a handful of added features like screen-off gestures, theming, and gesture nav. I don't personally love the gesture nav, but it does seem more refined here than it was on the updated 5T. Up top, the screen notch takes a bite out of the display, but it's not too huge or annoying. It leaves just enough space for the camera, earpiece, LED, and some sensors. 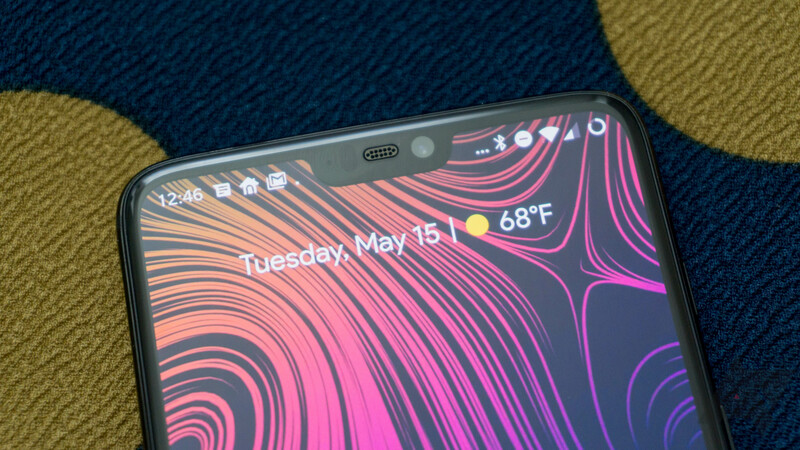 Like the P20 Pro, the bezel around the screen isn't symmetrical. The top is a little larger than the sides, and there's a small chin down at the bottom. It's not as bad as the P20 Pro, though. The curved lines of the chassis help hide the asymmetry better. There's no fingerprint sensor crammed in there, thank goodness. The drawback to the notch is that you lose some status bar space. 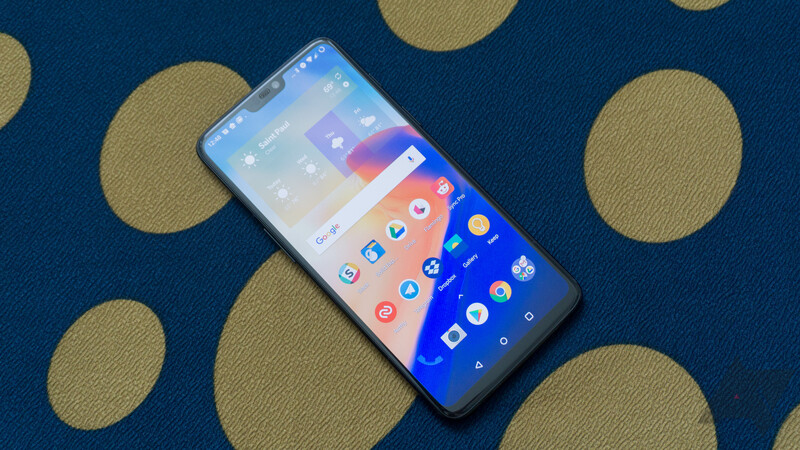 OnePlus took a cue from Google and moved the clock over to the left side of the bar. Your notification icons stack up next to that, but you can only see three of them before you run out of space. You only get a few system icons over on the right side as well. They're all visible when you open the notification shade, though. I suppose this works, but it seems like a messy workaround. I still like this more than Huawei's decision to mix up the system icons and notifications up top. OnePlus offered its first dual camera phone last year with the OnePlus 5—it had a zoom lens. Then, it had a different version of the dual camera array on the OnePlus 5T with its low-light camera. Now, it's changed the functionality of the dual camera setup again. This time, the secondary camera is even less useful. The main 16MP camera takes regular photos—nothing special there. The secondary 20MP camera is only used for portrait mode. That means it'll help the phone figure out which pixels are in the foreground and which are in the background. There's no way to switch to the secondary camera in order to take different types of photos, and it does not contribute to normal picture taking. This really seems like a missed opportunity. I haven't had enough time to get a feel for the photo-taking capabilities of this phone, but I don't think it'll be groundbreaking. This is probably going to be another instance of "good for the money" mobile photography. 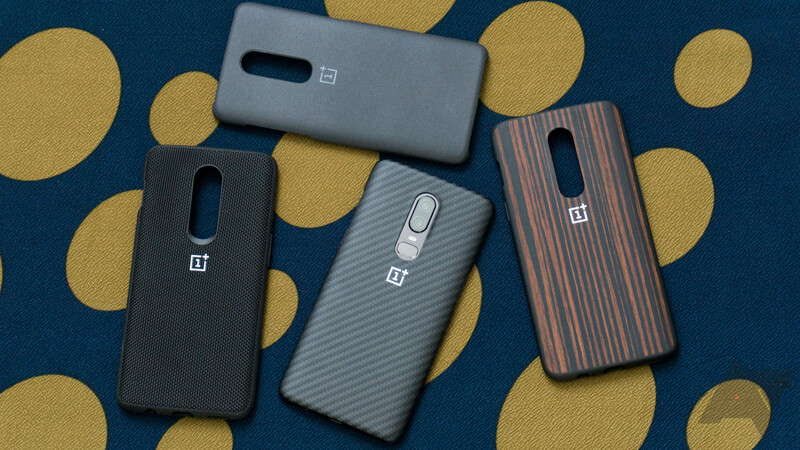 Every OnePlus phone has been a little more expensive than the one that came before. For the OnePlus 6, it's going to be at least $30 more expensive than the 5T when it launches on May 22nd. The version with 64GB of storage and 6GB of RAM is $529. If you want 128GB of storage and 8GB of RAM, that'll cost you $579. The mirror black version is available with either loadout, but the midnight black is only 128/8GB. 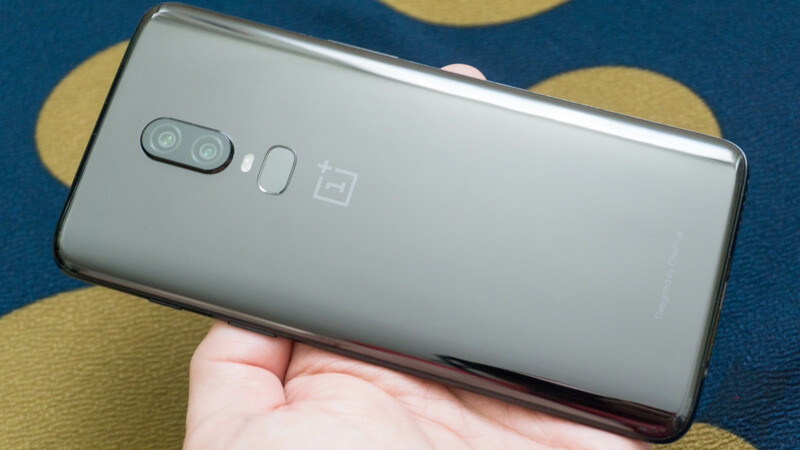 You can also use this referral link to get $20 off accessories if you buy a OnePlus 6. You should get one of the official cases—I love them. All phones are getting more expensive, so this price doesn't seem outlandish. However, I worry that OnePlus is increasingly falling into a no man's land between affordable unlocked phones and premium flagships. Most phones in the US are purchased on payment plans from carriers, but that's not an option here. You need to pay the full price of the OP6 up front, but is that a good deal? Our full review will address all the details soon.